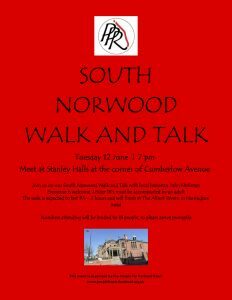 Think you know South Norwood? Join local historian John Hickman for a PPR ‘walk and talk’ on 12 June and you’re almost bound to learn something new. Meet at Stanley Halls at 7pm – there are only 18 places, so be sure to turn up on time! There’s no charge but donations are always welcome, and will help PPR keep up the good work.